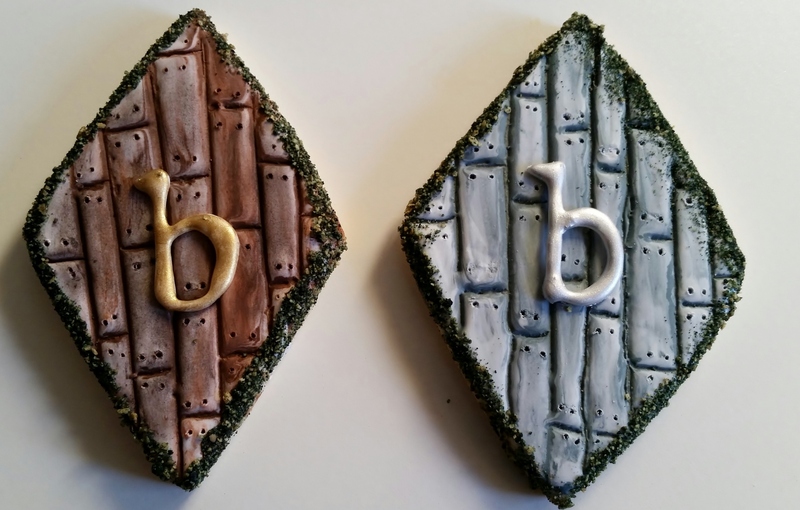 Bella’s Desserts makes all types of cookies for just about every occasion you can imagine. 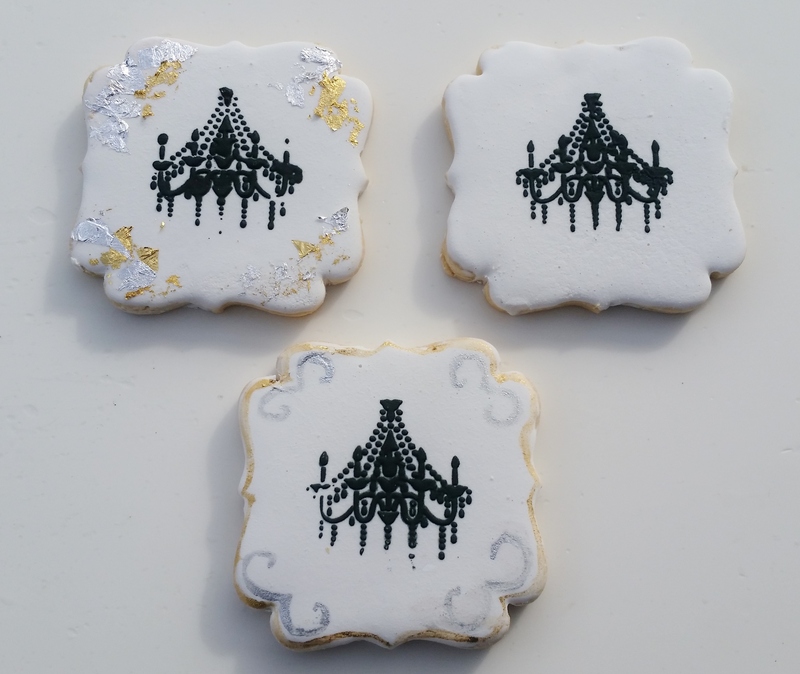 Decorated cookie orders take at least two weeks minimum. Most items require a one week notice. Here’s a sweet deal. 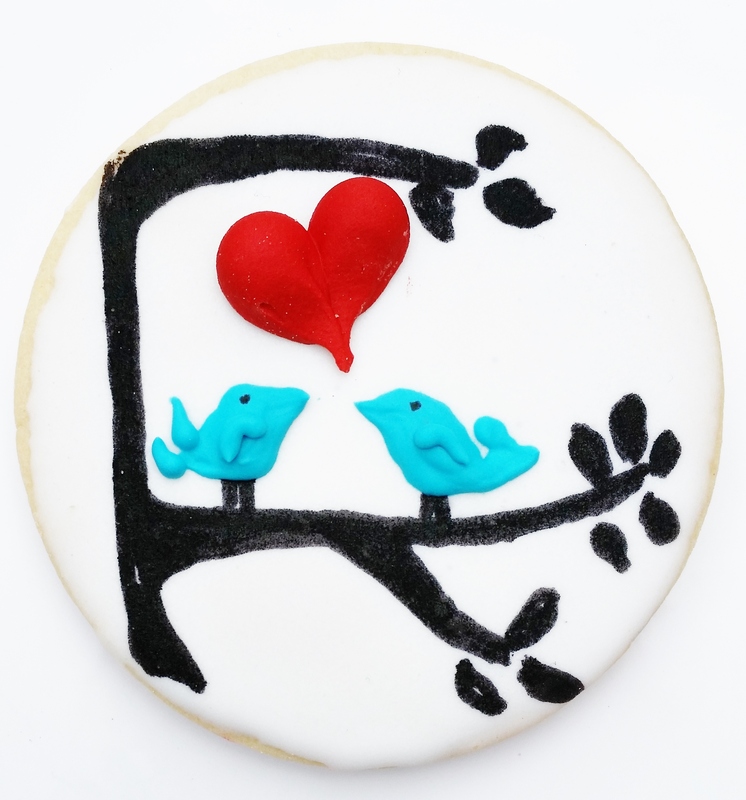 We bake custom cookies for PA and we ship cookies all over the U.S.
Oh, do we make cookies! We have lots of options when it comes to these delicious goodies. Please specify vanilla or almond frosting; standard is almond-flavored. 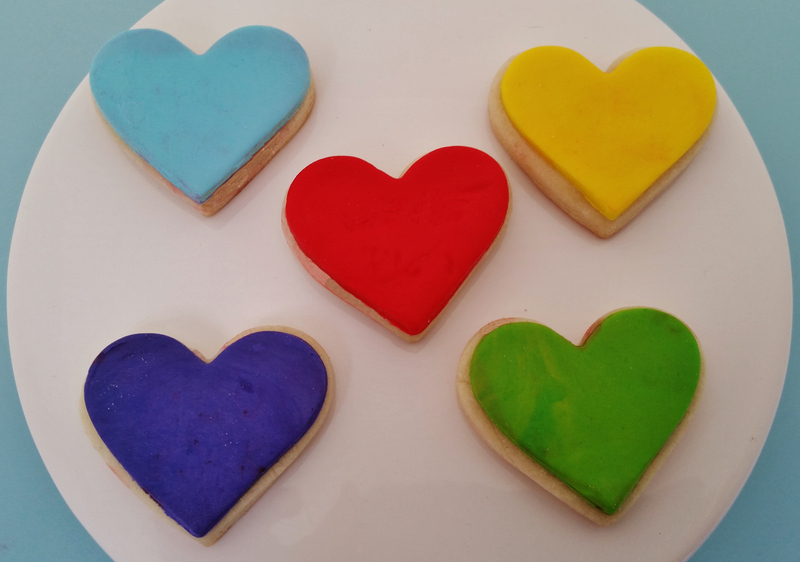 Gluten free and egg free sugar cookies are available! A minimum order is 6, which is $4 each. 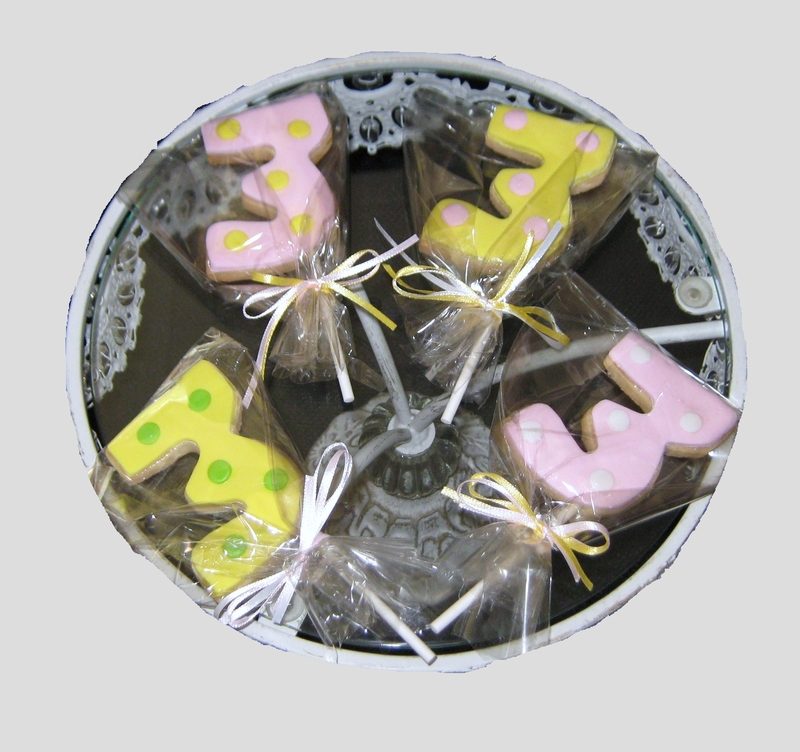 Each cookie is 3″ – 4″. Each cookie also individually wrapped. We also have minis available at $12 per dozen. A minimum order is 6, which is $6 each. 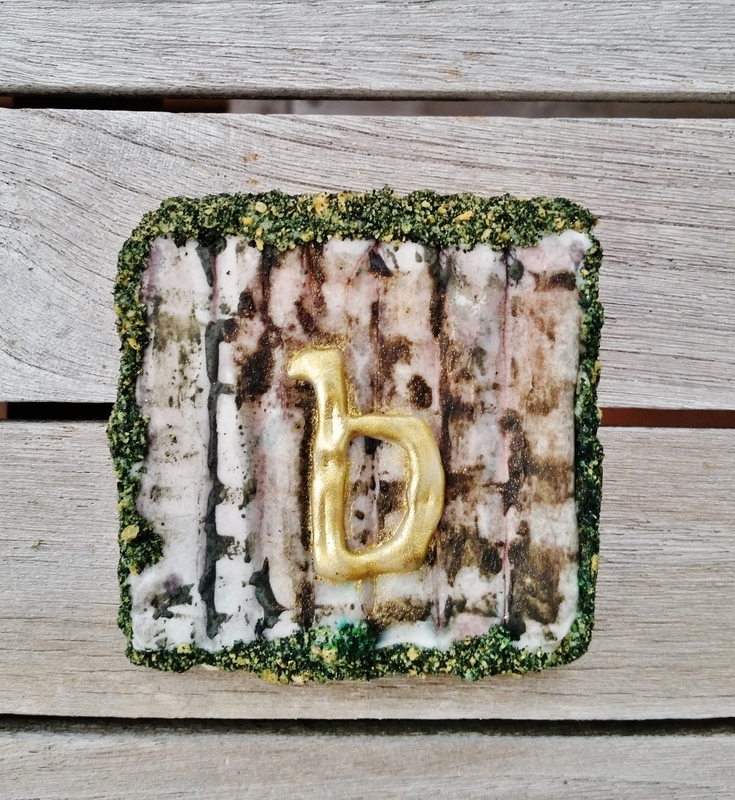 Each cookie is 3″ – 4″. Each cookie is individually wrapped. Cookies barely bigger than the size of a quarter! Individual bags of 6 tied with a bow (tags not included), just $4 each. 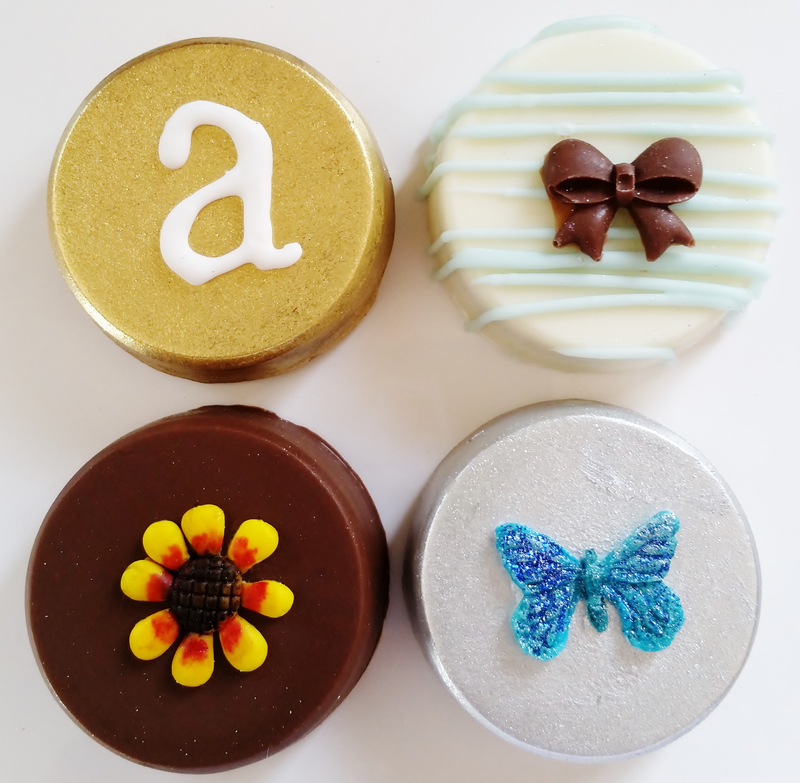 These mini treats are perfect as edible favors for a wedding, bridal shower, or baby shower. They’re even perfect for your catered event. We make your party memorable, whether it’s in Philadelphia, Seattle, or Miami. Trust us to be a partner in your special occasion. Macarons direct from Macaron Cafe in NYC! We’re so excited to have this program. The Macs are ordered at 2 dozen for each flavor for a total of $57. (Sorry no exceptions.) They are a generous 2″ cookies, with sumptuous flavor choices. 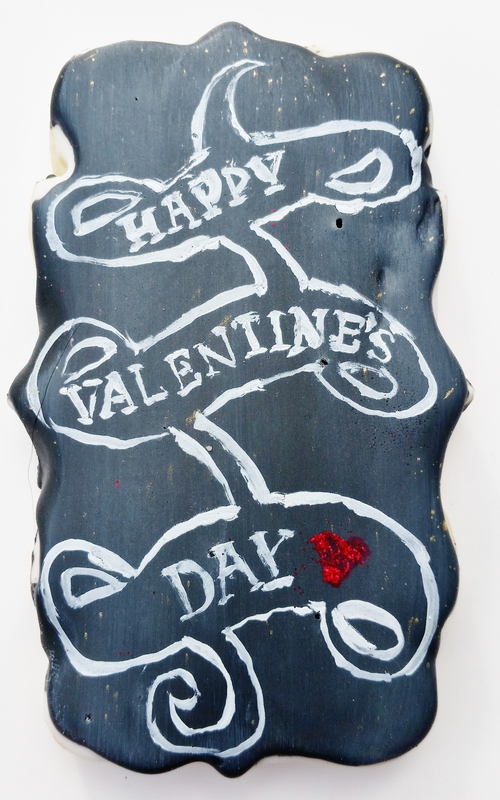 These can be hand painted for an extra charge. 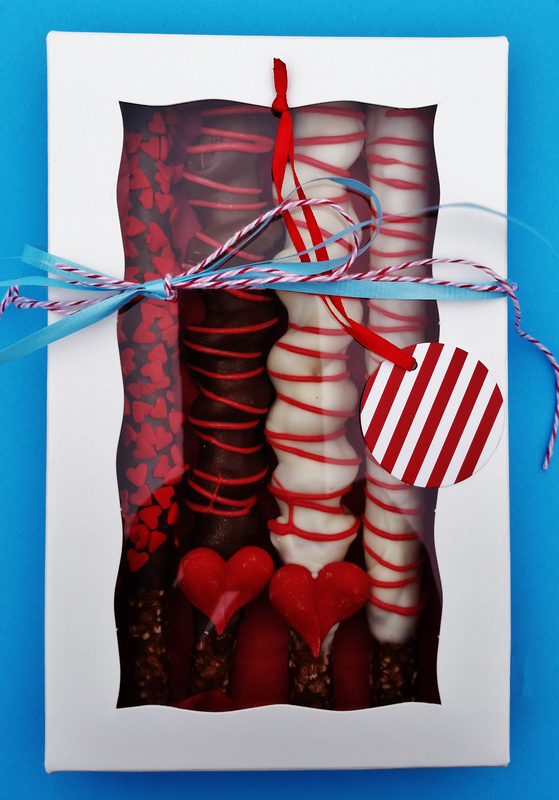 Your choice of oreo flavor, covered in Belgian chocolate. Custom decorated for your event! Start at $2 each for plain or pay $2.50 each for embellished. 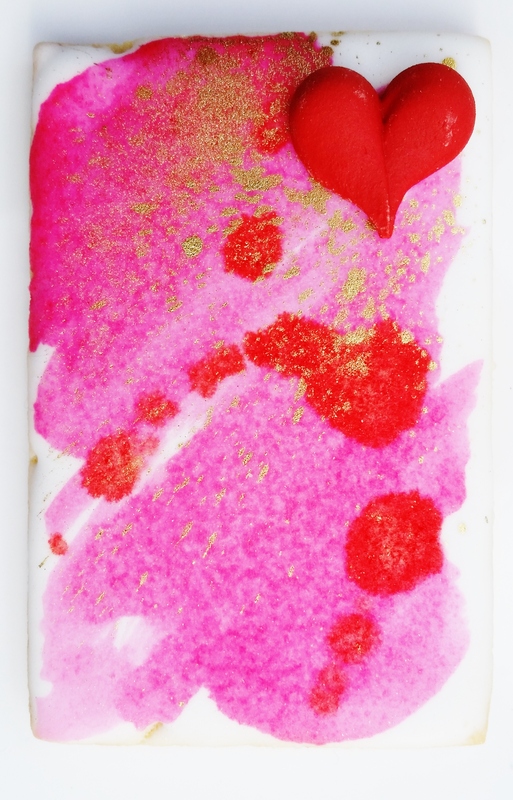 Can be packaged in a gift box with a gift tag for an additional $4.00 per 6. Salty. Sweet. To die for. 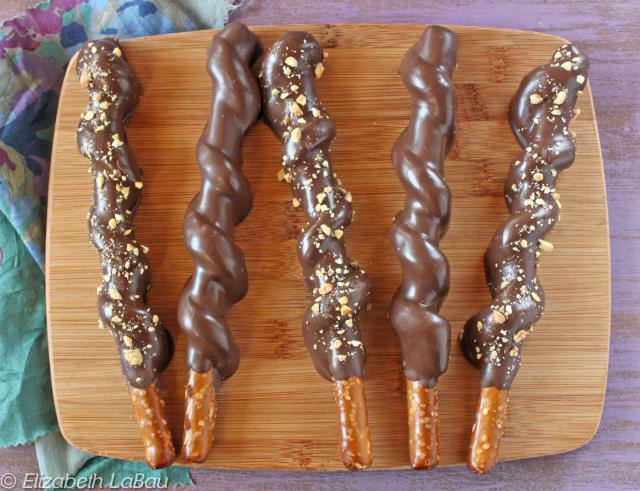 Pretzel rods wrapped in caramel and dipped in Belgian chocolate. Custom decorated for your event! Start at $2.50 each. Don’t want caramel? No problem. That’s only $1.50 each. 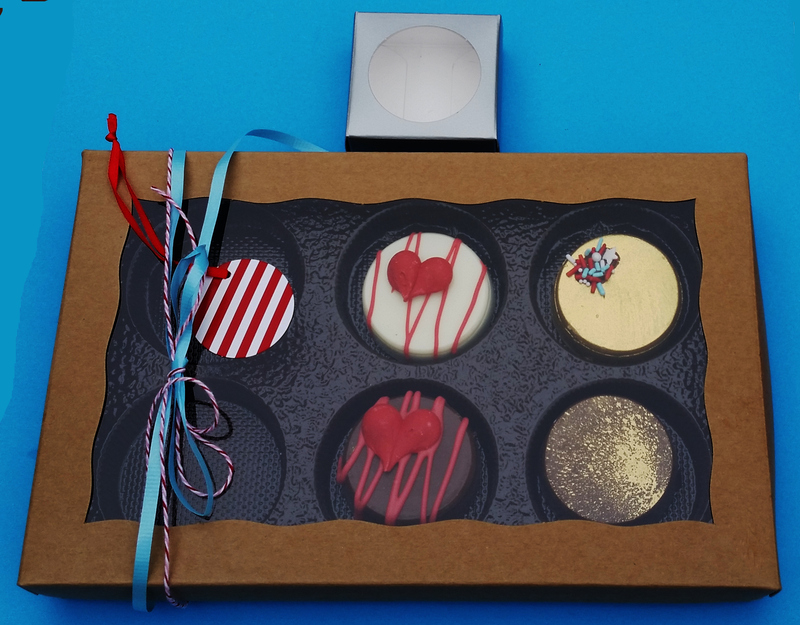 Each can be gift boxed with a tag for an additional $3.00. 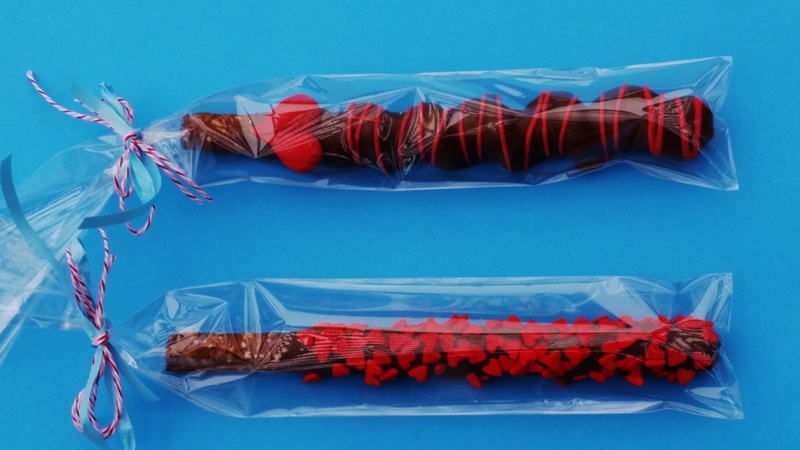 Bite size pieces of cake and frosting on a stick, dipped in chocolate and decorated in your choice of design! From simple to complex, starting at $3. each. Minimum order of 1 dozen.